US prosecutors have accused a former US Air Force officer of spying for Iran in an elaborate operation that targeted her fellow intelligence officers. 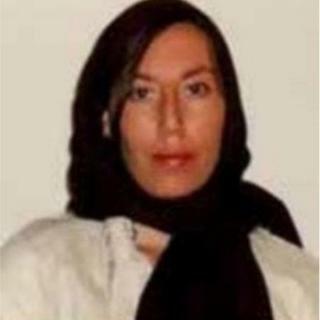 Monica Witt, who allegedly defected to Iran in 2013, had previously worked as a US counterintelligence officer. Four Iranian citizens have also been charged with attempting to install spy software on computers belonging to Ms Witt’s colleagues. According to the FBI, Ms Witt was last seen in southwest Asia in July 2013. Prosecutors say Ms Witt had been granted the highest level of US security clearance and worked in the US Air Force from 1997 to 2008. The US Department of Treasury has also sanctioned two Iranian companies – New Horizon Organization and Net Peygard Samavat Company – for their role in the plot. “It is a sad day for America when one of its citizens betrays our country, said Assistant Attorney General John Demers, the head of the justice department’s national security division. Ms Witt is accused of sharing US government secrets, including the name of agents and specifics of operations, with Iran as early as January 2012. In a charging document, investigators say the 39-year-old was deployed by the US to locations in the Middle East to conduct classified counterintelligence operations. Prosecutors allege that shortly after defecting to Iran, she handed over information on her colleagues in order to cause “serious damage” to the United States. Investigators allege Ms Witt was recruited after attending two conferences hosted by New Horizon Organization, which was working on behalf of the Iranian National Guard’s Quds Force to collect intelligence on attendees. Several conferences sponsored by the New Horizon Organization have taken place in Iran and Iraq in recent years, according to US officials. The conferences often included an “anti-Western” sentiment and “propagate anti-Semitism and conspiracy theories including Holocaust denial”. At least one of those New Horizon conferences was organised by Iranian-American journalist Marzieh Hashemi, who was detained by US officials in January as a material witness in a federal criminal case, according to the Tehran Times. The Department of Treasury accuses Net Peygard Samavat Company of being “involved in a malicious cyber campaign to gain access to and implant malware on the computer systems of current and former counterintelligence agents”. Monica Witt was last heard from while travelling in southwest Asia. Monica Elfriede Witt, a former Texas resident, left the US military in 2008 after more than a decade of service. A previously issued FBI missing persons poster said she was working as an English teacher in either Afghanistan or Tajikistan, and had lived overseas for more than a year before vanishing. While in Iran, she also allegedly converted to Islam during a television segment after identifying herself as a US veteran, and delivered several broadcasts in which she criticised the US. In the weeks after defecting, she also conducted several Facebook searches of her former colleagues, and is alleged to have exposed one agent’s true identity, “thereby risking the life of this individual”. A warrant has been issued for Ms Witt, who remains at large. What’s the state of US-Iran relations? Last November, US President Donald Trump re-imposed all sanctions on Iran that had been suspended due to the 2015 Joint Comprehensive Plan of Action (JCPOA) nuclear agreement. Mr Trump has withdrawn the US from the agreement, leading to a foreign policy rift between the US and the European nations who are party to the deal. Diplomats are expected to discuss Iran during a US-led two day summit on “peace and security” that began on Wednesday in Warsaw. On the conference’s opening day, Mr Trump’s personal lawyer Rudy Giuliani gave a speech in which he called for regime change in Iran. The US and Iran do not maintain diplomatic relations, and communications between the two nations are exchanged through Swiss diplomats.